Depo-Provera (medroxyprogesterone) is a reversible method of prescription birth control. Also known as DMPA, Depo shot, or the birth control shot, this hormonal contraceptive method is only available by injection. One shot protects against pregnancy for several weeks. Depo-Provera slowly releases the progestin medroxyprogesterone acetate and protects against pregnancy for a period of 11 to 14 weeks. Depo-Provera works by preventing ovulation and by thickening the cervical mucus, which prevents sperm from entering the fallopian tubes and fertilizing an egg that might have been ovulated. Currently, there are two different versions of Depo-Provera. With the exception of the few differences noted below, both injections work the same way and provide the same level of pregnancy protection. 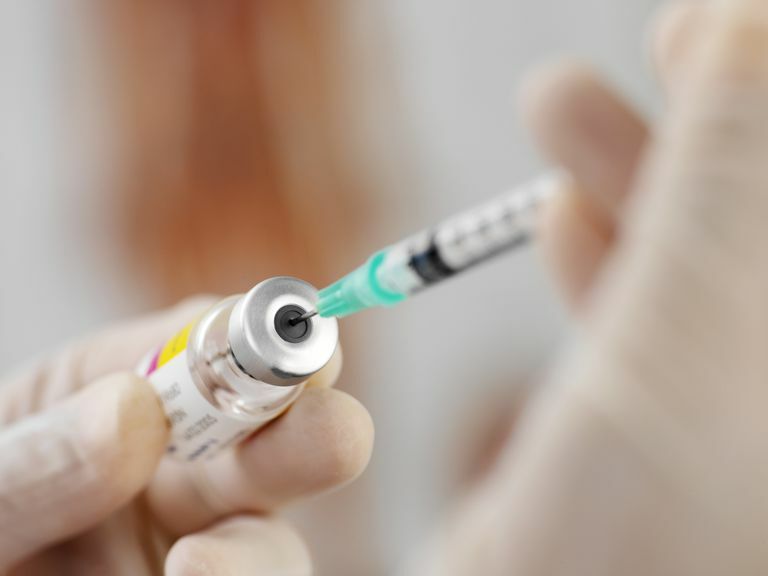 Depo-Provera Injection: The original Depo-Provera formula must be injected into a muscle and is injected into either the buttock or upper arm. You must have a shot four times a year (every 11 to 13 weeks) to maintain Depo-Provera’s high effectiveness rate. You are protected from pregnancy immediately after receiving each dose. This option contains 150 milligrams of medroxyprogesterone acetate. Depo-subQ Provera 104 Injection: This the version contains 31 percent less hormone than the original Depo shot at 104 milligrams of medroxyprogesterone acetate. Because it has a lower dose of progestin, it may lead to fewer progestin-related side effects. The subQ stands for subcutaneous, which means this newer shot only has to be injected under the skin, not into a muscle, so it has a smaller needle and may cause less pain. Depo-subQ Provera 104 must be injected into the thigh or abdomen four times a year (every 12 to 14 weeks). It also provides immediate pregnancy protection. It is highly effective and discreet. You won't be in danger of getting pregnant due to forgetting to take a pill or use a barrier method. The Depo-subQ Provera 104 injection is FDA approved for the treatment of endometriosis-related pain. Depo-Provera has a black box warning about possible bone loss: "Women who use Depo-Provera may lose significant bone mineral density (BMD)." Many women report irregular bleeding (spotting) and/or prolonged bleeding while using Depo-Provera. However, a positive side effect is that menstrual periods usually end after six months of use. It can take up to a year to regain your fertility after stopping Depo-Provera use. Some studies show weight gain with the Depo-Provera shot. The manufacturer says women gain an average of 5.4 pounds the first year and will have gained 8.1 pounds by the end of the second year. Common Depo-Provera side effects include abdominal pain or discomfort, dizziness, headache, weakness, fatigue, or nervousness. It should not be used for longer than two years. This method can be a safe birth control option for most healthy women. It is important that you discuss your complete medical history with your doctor before receiving a Depo Provera injection. Under the Affordable Care Act, most insurance plans must cover doctors' visits related to birth control and the shot itself is free under most plans. Medicaid also should cover the cost of this contraceptive method. Any changes to the Affordable Care Act may affect whether insurance plans cover contraception. Check with your insurance plan to see what your coverage and costs may be. If you do not have health insurance or coverage by Medicaid and must pay out of pocket for the medical exam, your cost may be as much as $250 for the first visit and as much as $150 for further visits. Prices for the injections alone vary, but the typical cost for each injection can range between $30 to $75. The total cost for a full year of use may vary from $200 to $600, depending if additional office visits are required. You may also incur added costs if you are more than two weeks late for your next scheduled shot as your doctor may require a pregnancy test before your next injection. Depo-Provera is 97 percent to 99.7 percent effective. This means that with perfect use, less than 1 out of every 100 women who use Depo-Provera will become pregnant in one year. With typical use, 3 out of every 100 women who use Depo-Provera will become pregnant. Depo-Provera offers no protection against sexually transmitted infections. You must use a condom. Birth Control Shot. Planned Parenthood. https://www.plannedparenthood.org/learn/birth-control/birth-control-shot. Depo-Provera (prescribing information). Pharmacia & Upjohn Co. http://labeling.pfizer.com/ShowLabeling.aspx?id=522. Depo-SubQ Provera (prescribing information) Pharmacia & Upjohn Co. http://labeling.pfizer.com/ShowLabeling.aspx?id=549.